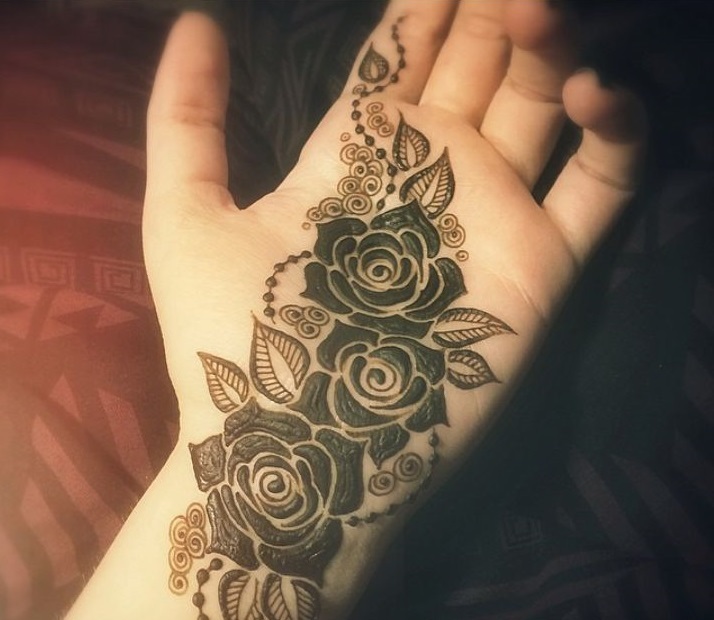 Mehndi fashion has modified with the ever-changing fashion trend. 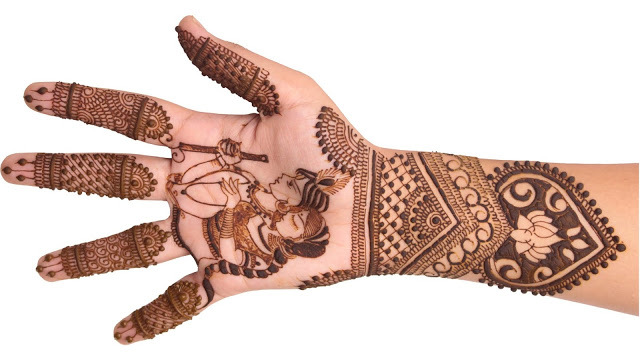 In the past, mehndi was applied only on the palms and feet. But today, mehndi can be applied on the legs, hands, arms, shoulders and even the back and waist for a beautiful and sensuous look. The fact that you are a new bride obviously means your skin needs to be taken extra care of. And Holi-inspired mehndi can be a good alibi to prevent harmful and permanent colors from ruining your skin. 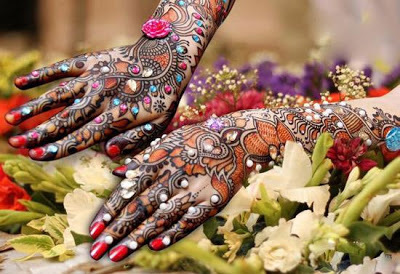 Who will dare torment a new bride who has mehndi on her with toxic and chemical-laden colors. Think about it, your gorgeous choorha will also not be ruined! 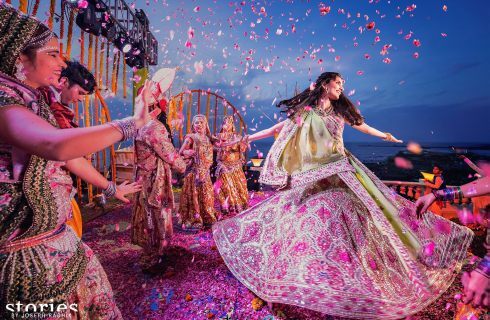 The fact that mehndi is a natural coolant and relaxant is another reason to don mehndi and sit and watch the festivities (especially if you are averse to the idea of Holi-hooliganism and strange chemicals in your hair and on your skin). Mehndi then, can be a perfect excuse to stick to herbal powder colors made with flowers or natural herbs. The festival of colors, Holi, has its own mascots – the eternal romantic couple, Radha and Krishna. 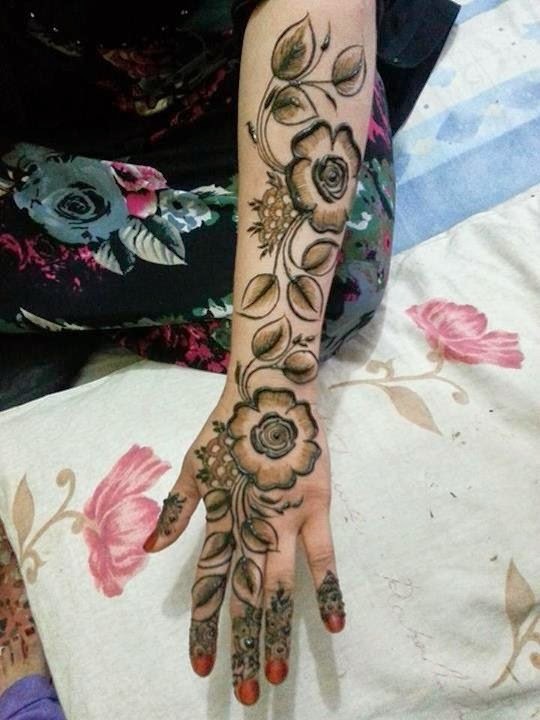 Why not celebrate their love and romance with mehndi patterns inspired by them. Peacock feather elements work just as well. Holi that comes in the spring is the harbinger of the color that nature throws at us in the form of the many flowers that are blooming all around. Flowers can also be the inspiration for Holi-inspired beautiful mehndi designs. 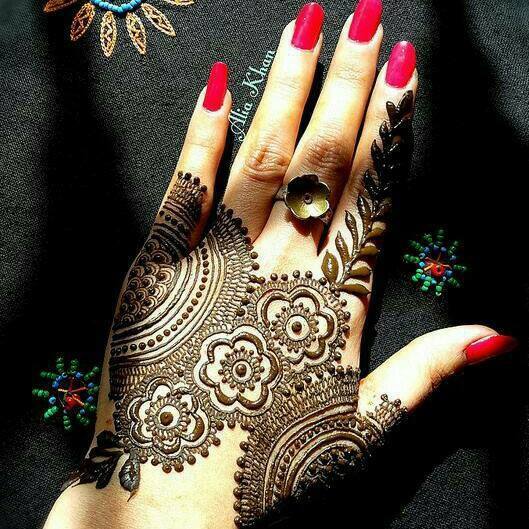 Create patterns that emulate the look of hands dipped in color – except that the color will be of mehndi and not some harmful chemical that harms your skin. 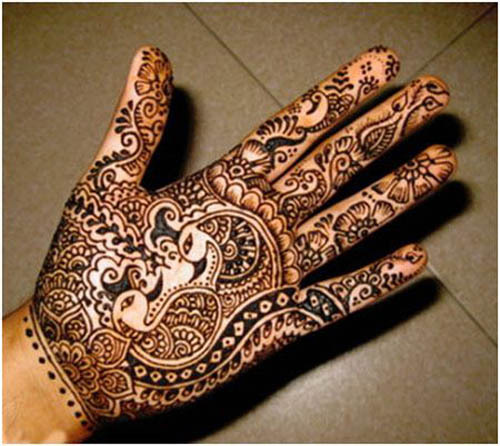 Go one step ahead and have double shaded mehndi – one that has darker outlines and a lot of shading patterns. This will also give the patterns an interesting ombre look. Apply some glitter in unusual and bright colors to take your mehndi to the next level. Got any more ideas? Do share in the comments section below. Also tell us, which patterns from our mood-board inspire you. Happy Holi!